René Pape, opera’s most iconic bass had an eventful 2017 and is kicking off the New Year in tremendous style. And now he’s back for more Wagner and is recently coming off the distinction of being an honored guest at the 2018 Viennese Opera Ball. 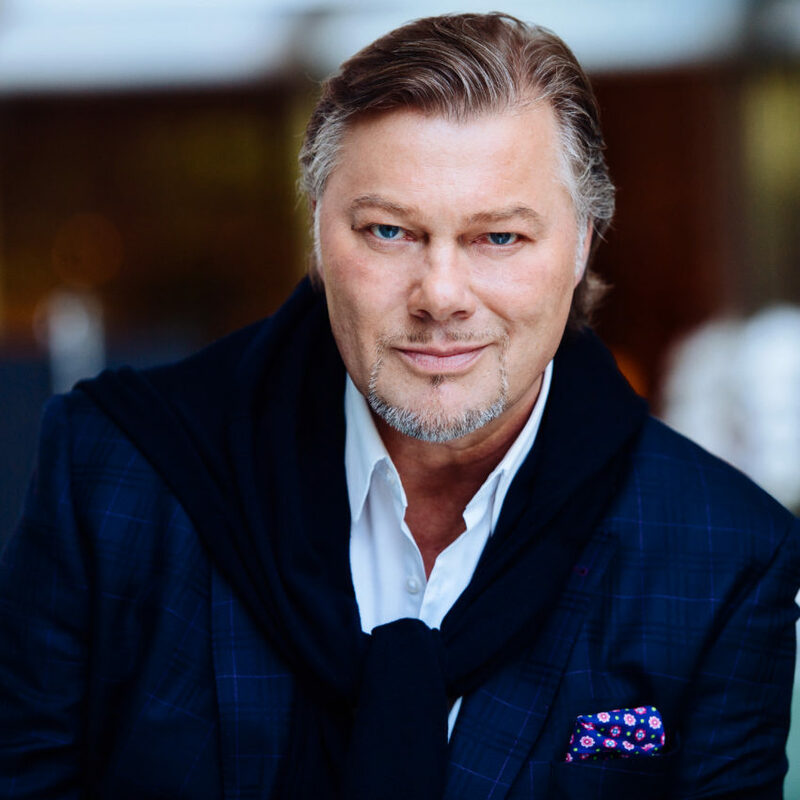 As he gets ready for his first “Parsifal” production of 2018 (he has two more scheduled throughout the year), Pape spoke with OperaWire about performing at the Metropolitan Opera, his love for rubberducks, and some projects he has in the works. Fun Fact: Gurnemanz, the knight of the holy grail that Pape interprets in Wagner’s “Parsifal” is the longest one that the bass has ever sung. “I don’t think it can really get longer for my voice type in any repertoire,” Pape told OperaWire. Pape noted that he first sang the role at the Met back in 2003 in the Otto Schenk production. Pape said that when he first prepared for that particular production, he took a year to learn the piece. “Wotan also took a long time, but this one was definitely the longest,” he noted. Since the 2003 debut as Gurnemanz, he has done his fair share of productions of Wagner’s last opera, becoming one of the iconic interpreters of the role. This will be his second time taking on the production by Francois Girard, best-known for the gallons of blood that empty out onto the stage throughout the work, particularly during the second act. “The set, the lighting, the videos, it’s all so beautiful. It doesn’t destroy the music,” he explained. You don’t do a piece so many times and not grow to fall in love with it in different ways. For Pape, it’s the third act that has really grown on him over the years. What is fascinating about speaking with an artist who is so enjoined with this repertoire is how he views it from a technical standpoint. Wagner is often seen as the most challenging music of all to sing. Not only for the complexity of the vocal lines within the overall tapestry of the music but especially for its gargantuan length, the works often spanning over four hours of music. A performance of “Parsifal” is usual six hours overall with intermission. But Pape notes that Wagner is actually considerate with his singers in how he paces them out. He also noted that there are significant breaks throughout acts where certain singers are resting while others get lengthy passages. “When you look at the score, you have time to rest while you are onstage. He did give all the singers time to take a deep breath and calm down,” he explained. One of the other aspects that Pape emphasized was the vocal style itself. With such massive orchestras, there is a tendency to think of a Wagner singer as one possessing heft and massive volume. But Pape notes that this “cliché” could not be further from the way the composer himself wanted to be interpreted. After “Parsifal” at the Met, the bass is headed to Berlin for more “Parsifal.” He does “Fidelio” in Dresden after before another “Parsifal” in Munich. Then he closes out his current slate with “Tristan und Isolde” in Paris. All of these productions take place from now until October of 2018. The German artist admitted that he’s slowing things down a bit to enjoy life a bit more. But that doesn’t mean he doesn’t have other major dream roles and aspirations. As for projects on the horizon, he revealed that he is preparing “Die Rosenkavalier,” though he did not say where he might be performing it. Another project that Pape is toying with, or more like dreaming of, is the possibility of doing Broadway. At the Viennese Opera Ball this past Friday he came to the “stage” for two performances. The first was “Le veau d’or,” from Gounod’s “Faust,” an opera he has dominated in the past. But his second selection during the main slate of performances came from “South Pacific.” Singing “Some Enchanted Evening” was a perfect fit for the bass, so it was no surprise that he had actually flirted with the idea previously. In fact, he was offered the opportunity to perform the work in New York, but he had to turn it down. He didn’t reject the notion outright forever, but it might be a more distant dream. These days, Pape is enjoying life and doing what excites him. Like creating a rubber duck in his image. When asked about his now iconic “Papeduck,” he quickly noted that he’s always had a collection of rubber ducks. He came upon a few such ducks of famous people, such as Shakespeare, and asked a simple question: “Why not an opera singer? Why not me?” That prompted him to seek out the company Celebriducks and create one in his image. The result? A ton of fun for those who can get their hands on one.